Kirk’s Dik Dik is a type of small antelope that is native to eastern and south-western Africa. Their habitat includes dry terrain with dense, high brush and kopjes in East Africa. This animal was first described by Günther in 1880. 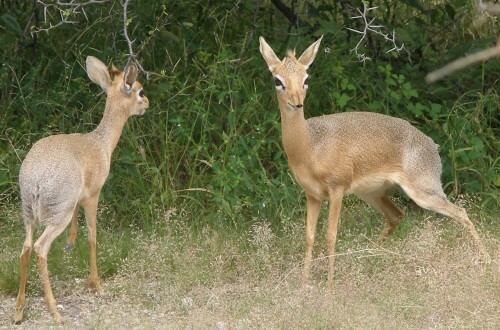 Although they have a slightly unusual name, this was coined due to the fact that these animals make quick zig-zag leaps as they dash for cover when making a call that resembles a “zik zik” or “dik dik”. 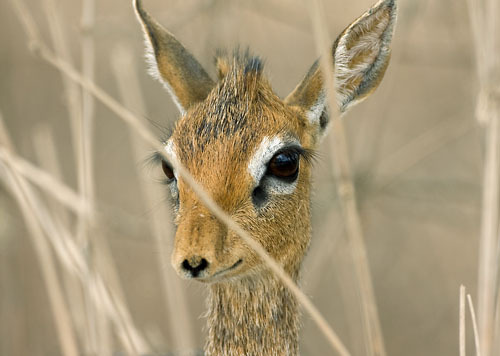 The population density of Kirk’s Dik Dik in the Serengeti is about 24 animals per square kilometer. Kirk’s Dik Dik grow up to 70 centimetres long, and can weigh up to 7 kilograms when it reaches adulthood. It has a tail that is about 35 to 55 centimetres long. 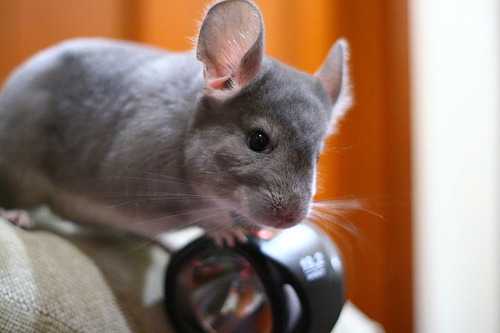 It has a reddish-brown head, legs, and tail, with a soft grey-brown to reddish-brownish coat. Their undersides are white. Its hooves have rubbery bottoms, which are excellent for travelling over terrain that is quite rocky. Only males have currugated horns, which can grow up to 11.4 cm long, however they may be slightly hidden by the erectile forelock. Kirk’s Dik Dik’s have a life span of up to 10 years. Birthing usually peaks during November to December, and from April to May. The gestation period is for about 5 to 6 months, and they usually give birth to one young at a time. However, females can bear up to two kids per year. After they have been born, kids lie away from their mother for 2 to 3 weeks. They are weaned for 3 to 4 months. However, after they are 7 to 8 months, they are ejected from their own territory. This is because females reach sexual maturity at 6 to 8 months, and males reach sexual maturity at 8 to 9 months. 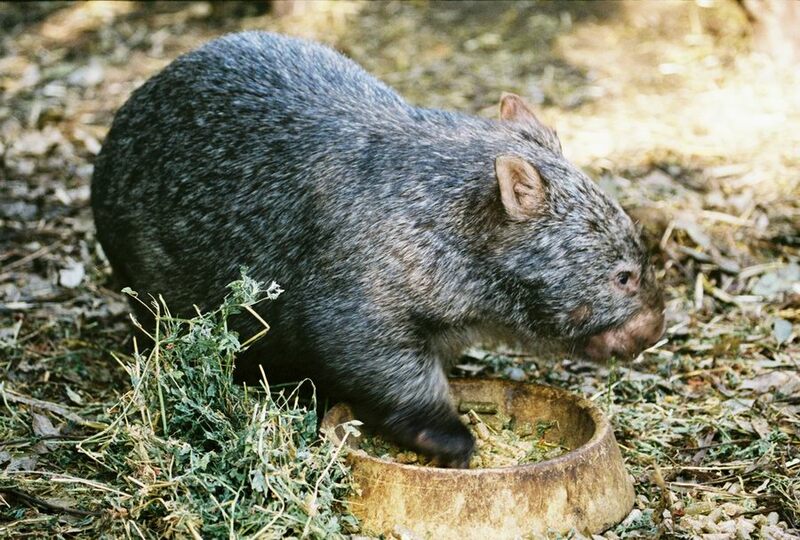 Their diet consists of vegetation. These include leaves from shrubs and bushes, budes, shoots, grass, and fruits. They need a lot of salt, but not a lot of water. Their predators include the leopard, cheetah, hyena, jackals, crocodile, leopard, caracal, Cape hunting dog, ratel, and pythons. Young Kirk’s Dik Dik’s are also taken be genets, baboons, and eagles. Kirk’s Dik Dik are active in the morning and late afternoons. However, some may also be active at night time. Mated pairs will defend a territory that is approximately 12.5 to 75 acres. If no unexpected and unfavourable conditions occur, then this pair may actually occupy the same territory for life. Along the boundaries of the territory as well as other places that they deem important are dung heaps that are about 30 cm in diameter. Both males and females mark the range of their territory with secretions from their preorbital glands. However, this is done mostly by males. 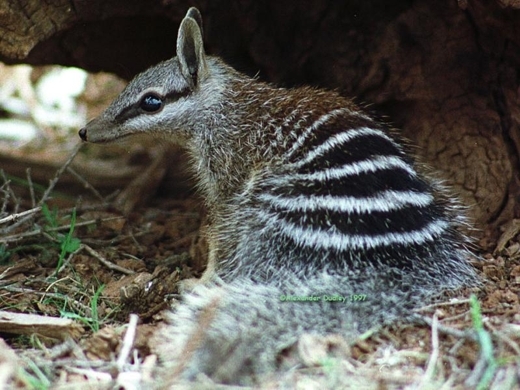 Even though there is joint marking, only the male will defend its family range. It will chase away any intruders of the same species, including females. I really Kirk’s Dik Dik!! !